Daniel 7:7 "After this I kept looking in the night visions, and behold, a fourth beast, dreadful and terrifying and extremely strong; and it had large iron teeth. It devoured and crushed and trampled down the remainder with its feet; and it was different from all the beasts that were before it, and it had ten horns. BEAST # 4 "DREADFUL & TERRIFYING"
After this - This time phrase implies sequence. After the vision of the leopard, Daniel sees the vision of the fourth beast. 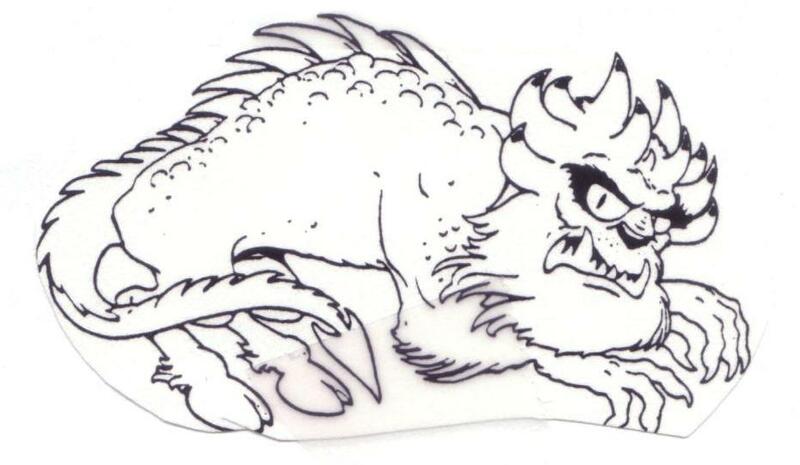 A fourth beast - Daniel could not even give a name to this dreadful and terrifying beast for apparently there was none like it in the animal kingdom. There are two specific facts which allow one to identify this beast with the iron leg and foot stage - (1) Reference to the same metal = iron. (2) Ten subdivisions = horns in Daniel 7, toes in Daniel 2. In summary, the fourth beast that follows ("after this") the 4 headed winged leopard stage is the Roman Empire a fact which is fully attested to by history. Although the Roman Empire actually began before 63BC the inception date I have recorded because in that year that the Roman General Pompey crushed and defeated Jerusalem. 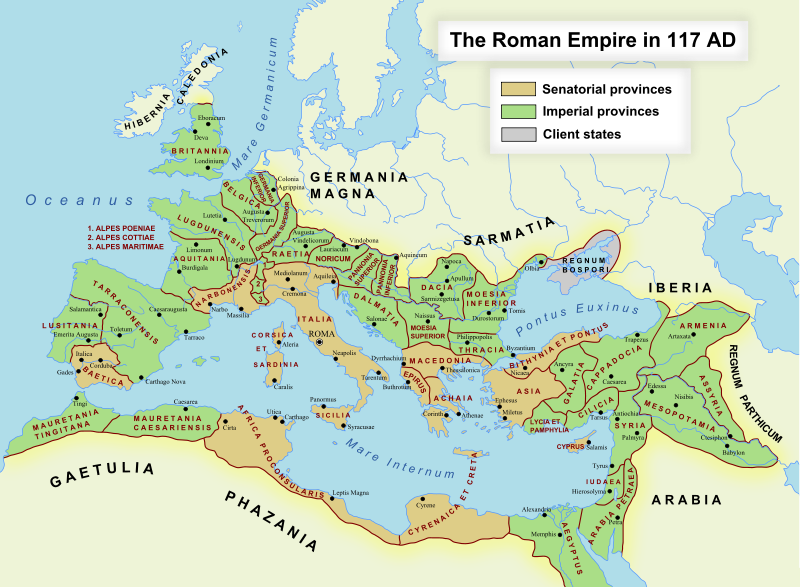 Historians date the official beginnings of the Roman empire as early as 241BC. 1. The injuries of time and nature. 2. The hostile attacks of the barbarians and Christians. 4. The domestic quarrels of the Romans. Dreadful and terrifying - As shown in the map below the Roman kingdom conquered territory (note especially the conquest of much of what is modern day Europe) that none of its predecessors had conquered and was a world power for much longer than any preceding beastly kingdoms. History identifies two divisions of the Roman Empire, the Western which fell apart in 476AD and the Eastern which remained until about 1453AD. Large iron teeth (Da 7:19) - This alone would distinguish the fourth beast from any known animal! This fact is similar to the iron that characterized the third kingdom in Daniel 2 (Da 2:33, 34, 35, 40, 41, 42, 43, 45) which as stated effectively identifies the fourth beast with the fourth metallic stage of Nebuchadnezzar's statue. From history we know that the Roman armies were known for their iron armor which led some to refer to them as the "Iron Legions" of Rome, emphasizing their strength and invincibility. But in the sovereign irony (pun intended) of God, the "crushing" kingdom was itself to be crushed by the Stone cut without hands (Da 2:34, 35, 44, 45). The strength of Aurelian (Roman emperor 270-275BC) had crushed on every side the enemies of Rome. (The Decline And Fall Of The Roman Empire XII - about midway down the page). Rome had no interest in raising the conquered nations to any high level of development. All her designs were imperial; let the nations be crushed and stamped underfoot. Crushed (7x in 6v - Da 2:34, 40, 45, 6:24, 7:7, 7:19) - Describes the process of breaking into pieces. In Da 2:34, 35, 45 this Aramaic word describes the crushing of the feet of the statue by the Stone. The remainder (the rest, the residue) - To what is the "residue" referring? In context this has to be the first 3 beastly Gentile kingdoms. In Da 2:40 Daniel recorded that the fourth kingdom would "crush and break all of these (the three preceding Gentile kingdoms) in pieces." It was different from all the beasts that were before it - Why? How? The context tells… it had 10 divisions. The fourth beast was not a single nation dominating a great section of earth but it is a 10 horn collection. And it had ten horns - There is no historical record that the Roman Empire had any phrase that can be identified with the ten horn description, which by default supports that this aspect remains to be fulfilled in the future, even as we saw with the foot and toe stage of the vision in Daniel 2. Some commentators take the number "10" as symbolic. Why? Because they cannot identify a historical fulfillment! In Da 7:24 we learn the 10 horns represent 10 kings which will arise out of the fourth beast, the fourth kingdom. Recall that horns when used figuratively often symbolize power, which seems apropos in view of the identification as 10 kings. (2) The ten-fold division of the Roman earth. It is emphasized in several Scriptures that this is to occur before the return of Jesus Christ. Ten horns - The specific phrase ten horns occurs 9 times in all of Scripture - 3x in Daniel and 6x in the Revelation - Da 7:7-note, Da 7:20-note, Da 7:24-note, Rev 12:3-note, Rev 13:1-note, Rev 17:3-note, Rev 17:7-note, Rev 17:12-note, Rev 17:16-note. The number ten is hardly to be strained, in this connection, to represent ten specified kings (Ed: This is an amazing statement in light of Daniel 7:24); but like the number four in Daniel 7:6, it is rather to be taken in a symbolic sense (Ed: Another absurd, incorrect interpretation, for four is used again in Da 8:8 and is NOT symbolic! ), and to be regarded as indicating a multiplicity of rulers, or an indefinitely large number of kings (Ed: Again this is an absurd statement and simply has no foundation from the text. It is the fantasy of one who refuses to accept that God is sovereign and he raises up kings as He wills - Da 2:21! )—in harmony with the usual significance of the number, both in the Scriptures and elsewhere, as the symbol of earthly perfection. The point beloved is that you need to read the text for yourself (see inductive Bible study), reading it literally where it is clearly meant to be literal and figuratively where it is clearly figurative, all the while comparing Scripture with Scripture and allowing your Teacher the Holy Spirit to lead you into all truth. Only go to the commentaries after you have come to a conclusion on your own. You will find that no matter how many theological degrees a writer possesses, unless his heart and mind are possessed by and surrendered to the Holy Spirit, his interpretations are most likely to be humanistic, liberal and ultimately absurd! Daniel 7:8 "While I was contemplating the horns, behold, another horn, a little one, came up among them, and three of the first horns were pulled out by the roots before it; and behold, this horn possessed eyes like the eyes of a man and a mouth uttering great boasts. While I was contemplating the horns - Daniel was focused on the 10 horns that characterized the fourth beast..
Another horn… came up - Another indicates in addition to the 10, so now he sees 11 horns. Little horn - The size of this horn distinguishes it from the other 10 horns, but in Da 7:20 we see that "was larger" implying that it grew in size/stature. Do not confuse this “little horn” with the “little horn” of Da 8:9, 10, 11, 12 which describes Antiochus IV Epiphanes (Who ruled the Seleucid Empire from 175BC until his death in 164BC) and who arises from the third Gentile kingdom of Greece not the fourth Gentile kingdom of Rome. The 11th horn thus stands out by virtue of its origin from among the previous 10 horns. In other words, the little horn did not just come up in another part of the vision but it's origin was intimately associated with the 10 horns. Later (Da 7:24-note) in the interpretation portion of this night vision we read that the 11th horn comes up after them indicating that the 10 horns are established or in existence before the 11th arises among them. Three of the first horns - Three of the first 10 horns. This fact is further support that these 10 were a literal 10 and not symbolic (see confusion that ensues when one ventures away from the "safety net" of literal interpretation) and that these 10 kings were in existence at the same time, not sequentially. Pulled out by the roots before it - Before what? Before the 11th horn, the little one. This horn - Now Daniel focuses his attention on the little horn. Behold - Interjection that speaks of amazement or surprise. It is used to get the reader's attention. It appears to have gotten Daniel's attention! This horn possess eyes like the eyes of a man - A little horn that has eyes and human characteristics. A mouth uttering great boasts (Da 7:25 Da 11:36 Rev 13:5,6)) - A little horn that can speak and when he speaks he is not humble but boastful which speaks of his pride. All of these characteristics speak of an individual personage not of an entire kingdom. Daniel 7:9 "I kept looking until thrones were set up, and the Ancient of Days took His seat; His vesture was like white snow and the hair of His head like pure wool. His throne was ablaze with flames, Its wheels were a burning fire. "continued looking until a stone was cut out without hands, and it struck the statue on its feet of iron and clay and crushed them." Thrones were set up - The scene now shifts to heaven. This "pattern" of shifting between heaven and earth is seen in Daniel 7 and is a very prominent aspect of John's record of the Revelation of Jesus Christ (e.g., compare Rev 1:9 = "I… was on the island called Patmos" with Rev 4:1-2 = "Come up here, and I will show you what must take place after these things. Immediately I was in the Spirit; and behold, a throne was standing in heaven, and One sitting on the throne"). Obviously one can obtain a more accurate interpretation of these "apocalyptic" books (Re "apocalyptic" see study of verb apokalupto/apokalypto which conveys the idea that God wants to reveal not conceal or confuse the future). In other words, when we read the Revelation, accurate interpretation demands that we know whether John is describing scenes in heaven or on earth. This pompous horn prevails over the saints until the Ancient of Days comes, when he is defeated (cf. Rev 19:19, 20). (Daniel 7:19-23) (Note: Revelation 19 describes the Second Coming so it follows that Richison is equating the coming of the Ancient of Days with the return of the Son of God). I am not sure, but if God's original intention of the meaning of Da 7:22 to picture His Son Jesus returning in judgment, it is further evidence of the great truth of the Trinity, which is incomprehensible to our finite human minds. Whether the Ancient of Days in Da 7:22 represents God the Father or God the Son does not alter the overall message of Daniel 7 regarding God's plan for the future. Took His seat - In context this surely speaks of God the Father. Daniel 7:10 "A river of fire was flowing and coming out from before Him; Thousands upon thousands were attending Him, and myriads upon myriads were standing before Him; The court sat, and the books were opened. River of fire - This speaks of judgment, refining, purity. Court sat - Speaks of judgment (Da 7:22, 26-note). Books were opened - Books related to judgment. Daniel 7:11 "Then I kept looking because of the sound of the boastful words which the horn was speaking; I kept looking until the beast was slain, and its body was destroyed and given to the burning fire. Then - This expression of time marks sequence in this night vision. Daniel now turns to the aspect of this Night Vision which gave him the most concern and consternation (cp Da 7:15-note, Da 7:28-note). In Da 7:19-note the prophet is addressing his "interpreter" and his query focuses down on the fourth beast and the little horn that arose from the fourth kingdom. It is notable that 8 of the 28 verses in Daniel 7 relate directly to the little horn. The sound of the boastful words ("the big words"!) - This refers to the Antichrist's speaking - clearly one of the ways this evil man will be identifiable in the last days will be by his boastful, arrogant speech. And remember for the first 3.5 years he does not fully reveal his evil character and intentions. His full revelation awaits his taking his seat in the Temple of God and foolishly displaying himself to be God (see 2 Thes 2:3,4-note) This passage refers to the same mouth uttering great boasts in Da 7:8 where "boasts" was added appropriately by the translators of the NAS. Boastful - The Aramaic adjective rab related to the Hebrew rab which means great, large, boastful. Rab is used in 21 verses in the Aramaic OT, most often in Daniel (Ezra 4:10; 5:8, 11; Dan 2:10, 14, 31, 35, 45, 48; 4:3, 9, 30; 5:1, 11; 7:2f, 7f, 11, 17, 20) and is rendered in NAS as boastful(1), captain(1), chief(3), great(15), large(2), larger(1). "I watched then because of the sound of the pompous words which the horn was speaking; I watched till the beast was slain, and its body destroyed and given to the burning flame" (Da 7:11). "And then the lawless one will be revealed, whom the Lord will consume ([anelei]) with the breath of His mouth and destroy with the brightness of His coming" (2Th. 2:8). Consume is [anelei] meaning "take away, do away with, destroy … of persons kill, murder, usually in a violent way." (Friberg: Analytical Lexicon of the Greek NT) Since the Lake of Fire only contains individuals and not systems or institutions, their destination provides additional evidence of their identity as individuals. The burning fire - Literally = "the burning of the fire". Hebrews 12:29-note (quoting Dt 4:24) records that "our God is a consuming fire." 1. The term beast is used by Daniel to describe several kings (Da 7:17-note). Of these four, the last is unique and especially terrible. 2. The term beast is used both to denote the final kingdom and the final king which leads the kingdom among the ten horns (Da 7:11-note; Rev 16:10-note; Re 17:11, 12, 13-note). 3. The revival of the Beast makes him both a ruler of the seventh kingdom (Re 16:10) and the final eighth head. The Beast is said to have seven heads and ten horns, yet he is also “of the seven” heads and “himself also an eighth” (Re 17:11-note). 4. Sometimes the term beast denotes a kingdom (Da 7:7-note, Da 7:11-note, Da 7:19-note; Re 13:1-2-note). Other times (beast denotes) an individual (Re 11:7-note; Re 13:4-note, Re 13:12-14-note, Re 13:17-18-note; Re 16:10, 14-note; Re 19:19-20-note). Elsewhere, the same individual is represented as a horn (Da 7:8-note) and a head (Re 17:11-note). Daniel 7:12 "As for the rest of the beasts, their dominion was taken away, but an extension of life was granted to them for an appointed period of time. An extension of life - At first glance this statement is somewhat enigmatic, but when one notes that in history many aspects/attributes of the three preceding beastly kingdoms persisted and permeated the culture of the Romans (and even in our own day), one can easily see how these former empires received an extension of life. Tony Garland comments that "The mention of the leopard, bear, and lion in connection with the Beast arising from the sea is in concert with what Daniel was shown concerning the continuation of Babylon, Medo-Persia, and Greece and their contribution to the final form of world government." Note: they could not be crushed at the same time if they did not exist at the same time. Obviously they do not exist in the same form as when they were literal kingdoms, but the point is made that they must exist. Daniel 7:13 "I kept looking in the night visions, and behold, with the clouds of heaven One like a Son of Man was coming, and He came up to the Ancient of Days and was presented before Him. In Daniel 7:13,14 we have a heavenly perspective which presents the climax of Daniel's night vision and in fact the climax of world history from man's viewpoint. In abbreviated but chronological order we see in Da 7:11, Da 7:12 the fall of the final Gentile kingdom and its final ruler, the Little Horn (aka, "Anti-Christ" - 1Jn 2:18-note). And immediately after that fourth kingdom is crushed by the Stone (cp Da 2:34-note, Da 2:44-note), the same Stone Who is the Son of Man receives the fifth and final kingdom which endures forever and will not be destroyed. And it is then that the prayer, "Thy kingdom come" (Mt 6:10-note) will be finally and fully answered. With the clouds of heaven - Clouds are almost always associated with the return of Jesus (see comments on identity of the Son of Man below). In one of the versions of the Lxx, the preposition epi signifies the Son of Man comes upon the clouds. Clouds are often associated with the glory of the Lord. Clouds were often one aspect of the visible manifestation of the Lord’s presence (Ex. 16:10; 19:9, 16; 24:15, 16; 34:5; 40:34; Dt 5:22). Clouds indicated His presence over the mercy seat where He dwelt between the cherubim (Lev 16:2). During Solomon’s prayer dedicating the Temple, he recognized God's habitation as the dark cloud (2Chr. 6:1). In response, the glory of the Lord filled the Temple (2Chr. 7:1), no doubt including a manifestation of clouds. The psalmist understood dark clouds to be God’s canopy (Ps 18:11-note; Ps 97:2-note). The visible manifestation of God indicating the place where he dwelt has been called the “Shekinah” glory from the Hebrew verb שָׁכַן [šāḵan] meaning “dwell, live among, inhabit, abide, stay, remain, camp, i.e., to live or reside in a place, usually for a relatively long amount of time (Ge 9:27).” (Merrill C. Tenney, Interpreting Revelation Peabody, MA: Hendrickson Publishers, 1957, 121) See The Abiding Presence of God. When Jesus revealed His glory to Peter, James and John on the Mount of Transfiguration, the voice of the Father spoke from within a bright cloud saying, “This is My beloved Son in whom I am well pleased. Hear Him!” (Mt 17:5). Jesus explained His appearance with the clouds to be the sign of His coming (Mt 24:30) and His mention of “coming on the clouds of heaven” (Mt 26:64) was understood by the high priest as a blasphemous claim (Mt 26:64, 65). He tore his garments in response, a clear indication of his understanding of what Jesus was claiming (Da 7:13). One like a Son of Man - This is the verse in Daniel which is most often quoted in the NT and most conservative commentators agree this description refers to Jesus not an angel and certainly not the nation of Israel as propounded by some liberal commentators! Son of Man is Jesus' favorite term for Himself in the Gospels (see below). Son of Man - 84 times in 80 verses in the Gospels - Mt 8:20; 9:6; 10:23; 11:19; 12:8, 32, 40; 13:37, 41; 16:13, 27f; 17:9, 12, 22; 18:11; 19:28; 20:18, 28; 24:27, 30, 37, 39, 44; 25:31; 26:2, 24, 45, 64; Mark 2:10, 28; 8:31, 38; 9:9, 12, 31; 10:33, 45; 13:26; 14:21, 41, 62; Luke 5:24; 6:5, 22; 7:34; 9:22, 26, 44, 56, 58; 11:30; 12:8, 10, 40; 17:22, 24, 26, 30; 18:8, 31; 19:10; 21:27, 36; 22:22, 48, 69; 24:7; John 1:51; 3:13f; 5:27; 6:27, 53, 62; 8:28; 9:35; 12:23, 34; 13:31. The prevalent NT usage of this phrase Son of Man as a title of our Lord Jesus Christ should thoroughly demolish any comments that this title does not refer to Jesus! The context also leaves no doubt that the Son of Man is the King of kings (cp Ps 72:11-note) Who receives a kingdom from His Father, the Ancient of Days (Da 7:13). An angel or any other supernatural being cannot explain this phrase. He was presented before Him - In order to received the fifth kingdom as explained in Da 7:14. A few commentators (e.g., Montgomery) even posit the bizarre interpretation that Son of Man represents the people of Israel, but such comments are hardly worth refuting they are so absurd. Indeed, even the Jewish apocryphal Book of Enoch attests that the Son of Man refers to an individual not a nation. Daniel 7:14 "And to Him was given dominion, glory and a kingdom, that all the peoples, nations and men of every language might serve Him. His dominion is an everlasting dominion which will not pass away; and His kingdom is one which will not be destroyed. To Him was given - The Father's gift to the Son (see Mt 11:27, 28:18). Considering what He is given, this event describes in essence the coronation of the Son of Man as the King of kings Whose reign will never end. Spurgeon comments: Ask of me. It was a custom among great kings, to give to favored ones whatever they might ask. (Esther 5:6 Matthew 14:7) So Jesus hath but to ask and have. Here He declares that His very enemies are His inheritance. To their face He declares this decree, and "Lo! here", cries the Anointed One, as He holds aloft in that once pierced hand the sceptre of His power, "He hath given me this, not only the right to be a king, but the power to conquer." The event is so certain in the sounding of the seventh angel that it is treated as if already past. However, the kingdom will not have arrived in totality until all seven bowl judgments are poured forth (Rev 16:17-note) and the King Himself returns to earth to defeat the armies of the nations (Isa 63:1-6; Zech 12:1-9; 14:1-8; Rev 19:11-21-note). That day is described by many passages (Ps 22:27, 28, Ps 72:8, 9, 10, 11, Isa 9:7, Da 2:44-note, Zech 14:, 9, 10, 11, Lk 1:32, 33)… Not one of the above passages finds literal fulfillment in the present day Church as the adherents of Replacement Theology, Dominion Theology, and Covenant Theology claim because the sounding of the seventh trumpet remains future to our time. These passages do not speak of an invisible spiritual kingdom, but a visible earthly kingdom. That all the peoples, nations and men of every language - The Messianic Kingdom will be a worldwide kingdom. In this future kingdom there will saints from every tribe and tongue and people and nation. (Rev 5:9-note; cp Rev 7:9-note). It follows that although "saints" in Daniel 7 is most directly addressed to OT saints (largely Jewish believers those who are part of the believing believing remnant), this phrase indicates that saints of all nations (this clearly includes NT saints) will be present. Might serve Him - Serve is the Aramaic verb pelah which has the connotation of not only to serve but to revere and to worship. To pay reverence. Pelah - 10v - Ezra 7:24; Da 3:12, 14, 17, 18, 28; twice = "your God whom you constantly serve" = Da 6:16, 20; 7:14, 27. NAS = servants(1), serve(9). The Septuagint (LXX) translates pelah with the Greek verb latreuo (word study) which conveys either the idea of "worship" or "service" and thus suggests that "service" cannot be separated from "worship." As an aside, many believers desire to "worship" the Lord on Sunday but are too busy to "serve" Him at other times. The Scripture knows nothing of this dichotomy. Notice also that the order in Scripture is first “worship” and then “serve”. Acknowledgment of God Himself must have precedence over activity in His service. Service to God derives its effectiveness from engagement of the heart with God. Any true worshipper of God is also a servant, ready to do his Master's bidding, discharging his or her priestly duties. God pleasing and God honoring service calls for total, unreserved commitment on the part of the worshiper. Paul served God with everything he had, beginning with his spirit, for God is to be worshiped in spirit and in truth. How wonderful that here in Daniel we observe that one day future in His glorious kingdom in our glorified state we will be privileged to render such pure worship and serve. Hallelujah! Amen! His dominion is an everlasting dominion which will not pass away - When King Nebuchadnezzar came to his senses he acknowledged that the Lord's "dominion is from everlasting to everlasting" (Da 4:3-note, cp Da 4:34-note). The Son of Man's dominion is in marked contrast to the iron, the clay, the bronze, the silver and the gold which will one day be crushed all at the same time and become like chaff blown away by the wind so that not even a trace of them will be found (Da 2:35-note). Gentile dominion is ephemeral and will one day soon pass away never to be "exhumed"! 1. Do you believe that Jesus Christ will return the second time as the Bible teaches? 2. After Jesus Christ returns, do you believe the Emperor will worship Jesus Christ or that Jesus Christ will worship the Emperor? Spurgeon comments: Yea, all kings shall fall down before Him. Personally shall they pay their reverence, however mighty they may be. No matter how high their state, how ancient their dynasty, or far off their realms, they shall willingly accept Him as their Imperial Lord. All nations shall serve Him. The people shall be as obedient as the governors. The extent of the mediatorial rule is set forth by the two far reaching alls, all kings, and all nations: we see not as yet all things put under Him, but since we see Jesus crowned with glory and honour in heaven, we are altogether without doubt as to His universal monarchy on earth. It is not to be imagined that an Alexander or a Caesar shall have wider sway than the Son of God. "Every knee shall bow to him, and every tongue shall confess that Jesus Christ is Lord, to the glory of God the Father." (Php 2:11-note) Hasten it, O Lord, in Thine own time. His kingdom is one which will not be destroyed (cp a similar declaration/affirmation by two pagan kings, one or both of whom may have been converting to the worship of the Most High God! - Da 4:34-note, Da 6:26) - The Kingdom of Christ becomes the fifth and the last Kingdom, the one that came about when the Stone cut out without hands (Da 2:34-note) crushed the fourth kingdom (and the "remnants" of the preceding 3 Gentile kingdoms) and became a great mountain and filled the whole earth (Da 2:35-note). When we pray Thy kingdom come, we are praying for the glorious day when our Lord Jesus Christ returns as King of kings and Lord of lords to set up His millennial (1000 year - see Millennium) kingdom on earth in which righteousness will be the rule of the day. Indeed the Kingdom is inseparable from the King and to pray for His Kingdom to come is to pray for its consummation. This is the kingdom to which we are citizens and its fulfillment should be the longing of our hearts and our prayers. Maranatha. Our Lord, come! As an aside, it is ironic that many amillennialists (those who do not believe Jesus will reign in a literal kingdom on earth for 1000 years) pray this prayer for the millennial kingdom to come! Compare the exclamation of the early church "Maranatha" which means "Our Lord, come", "O Lord come!" or "Our Lord has come." (1Co 16:22). Would it be that we heard this same cry more often from the modern church!